Collect 2-3ml plasma or serum in the container provided. And contact Alfamedic for collection. 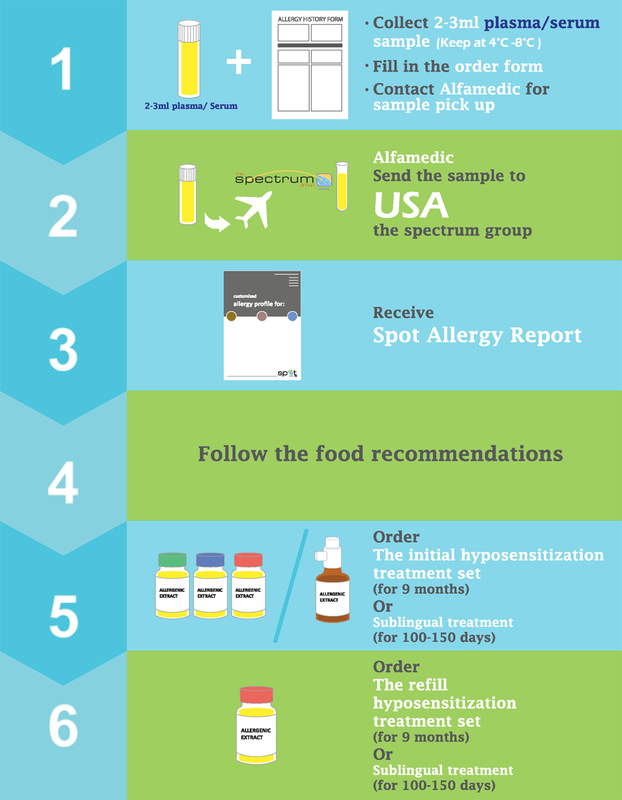 Alfamedic will send the samples to Spectrum Labs in USA for SPOT test (Modified ELISA test) on 91 allergens. A report will be generated with a customized allergy profile. For food allergies a recommendation is included of foods (dry/ canned/ treat)available from major pet food manufacturers. A specific treatment set (3 vials) for hyposensitization /sublingual can be ordered for those specialised allergens tested except food allergens and Staph’s. Treatment set comes with an Allergy Treatment diary.